UPDATE: The Proton Saga FL has been launched in Malaysia! Click for details and pricing. We’re here at the Thai Motor Expo 2010 for some pre-KLIMS motorshow action, where Proton has unveiled the 2011 Proton Saga facelift! The entire front end has pretty much changed from the head lamps, grille, bumper, and even the engine hood sheet metal design. The new engine hood now creases in a way that makes the left and right sides of the hood higher. There’s also a very faint spine in the middle of the hood, where in the pre-facelift Saga it was flat. 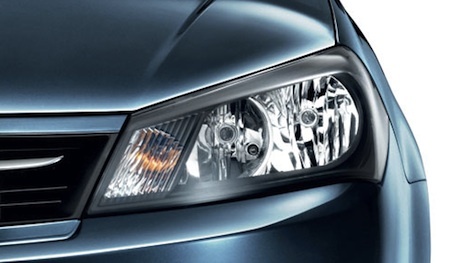 The headlamps now appear to use three bulbs instead of the previous two bulb config – we think this means there’s a dedicated bulb for high beam now. The signal lamps have been moved towards the inside of the lamps. 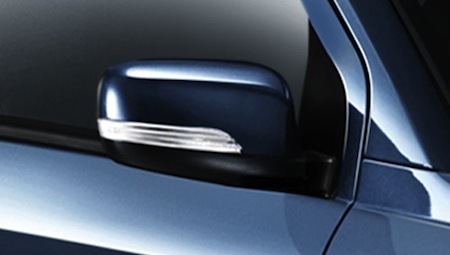 The wing mirrors now have turn signal indicators. The rear end also has significant changes. The tail lamps are new and have LED lighting. There’s a small spoiler on the boot lid, and because of the spoiler design the Saga badge has to be relocated slightly to the left. The bumper now has a black insert for the diffuser-like design feature, and it’s now wider with reflector lenses and shaped to show off the exhaust muffler and tail pipe, as opposed to the pre-FL Saga which had its rear end designed to hide the exhaust tail pipe. The 1-DIN Clarion radio looks the same to us (except for the MP3/WMA logos which indicate support for those files), but there are new USB and AUX-in ports which are not integrated into the radio but are instead positioned to the lower right of the radio. This takes up some of the cubby hole space below the radio. 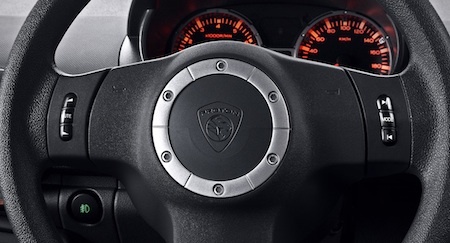 The steering wheel now has audio control buttons, similiar in style to the Satria Neo’s. 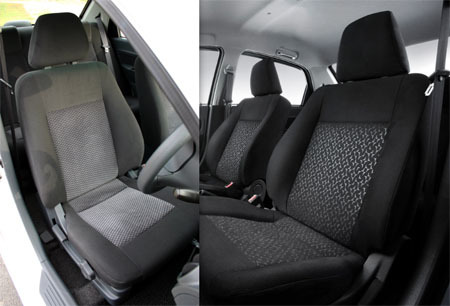 The fabric pattern on the door cards and the seats are now of a different design (old one is on the left). The baseline model in Thailand has a yet another different fabric pattern, and the one we are showing above in comparison to the old fabric is the high spec fabric pattern. 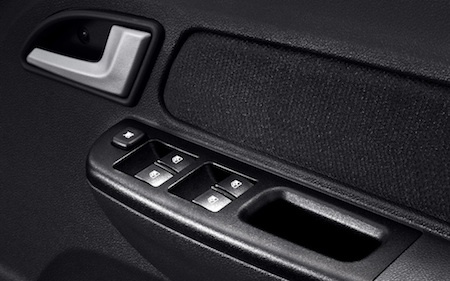 There are now rear power window button controls. As for which of the Malaysian car specs will feature rear power windows and which won’t, we’ll have to wait for the Malaysian launch. 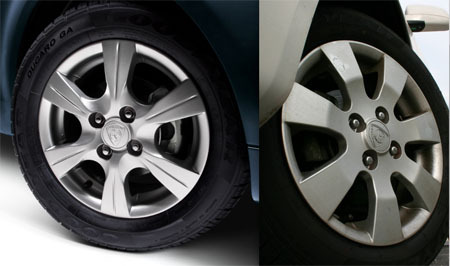 There’s a new alloy wheel design, but the tyre size is the same as before – 185/60R14. 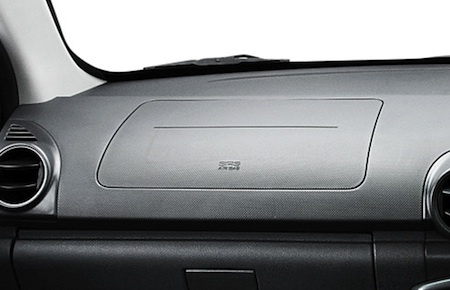 There’s now the option for a front passenger airbag which takes up the ’tissue box’ holder compartment in the pre-facelift Saga. These are the only changes we are able to see so far, and we have to note that some of these updates like the USB/AUX function, the extra airbag and the rear power windows could only be for the higher spec models. Four colours are available in Thailand – Solid White, Tranquility Black, Genetic Silver and the new colour you see here which is Blue Rock. There could be other changes on the mechanical side of things though, which we will probably only be able to find out when we speak to Proton’s engineers in Malaysia. The Thai spec sheet (which you will be able to see after the jump) quotes 70kW and 120Nm, which is the same as the pre-facelift Saga. Enjoy a high-res product and live image gallery as well as a video after the jump. Previous Post: Facelifted Proton Saga waiting to be unveiled at the 2010 Thailand International Motor Expo!